Today, Nubia India has announced the N1 lite smartphone in India. The Nubia N1 lite will cost you is Rs. 6,999, and it will be available exclusively via Amazon India. The key features of this phone are a fingerprint scanning support, soft-light front flash, and a 3000mAh battery and this phone is available from today to buy as mentioned from Amazon.in. Design wise, the Nubia N1 lite features a sleek design with metal edges. The fingerprint scanner is housed at the back of the device, right below the camera. The company claims that it can unlock the smartphone in 0.3 seconds. The speaker is situated at the back, and the power and volume buttons are housed on the right edge. Also, the 3.5mm audio jack is housed on the top edge of the smartphone. 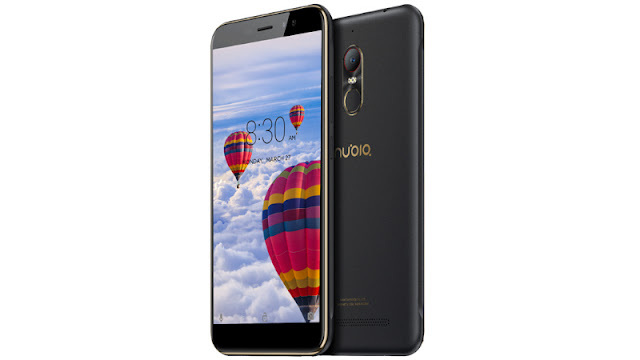 Talk about the specs Nubia N1 lite runs Android 6.0 Marshmallow out-of-the-box and sports a 5.5-inch display, just like the original Nubia N1, but the screen resolution has been downgraded from full-HD (1080x1920 pixels) to HD (720x1280 pixels). The smartphone is powered by a 64-bit 1.25GHz quad-core MediaTek MT6737 processor , and comes with 2GB of RAM. In terms of optics, the Nubia N1 lite sports an 8-megapixel rear camera with an f/2.0 aperture tagged with dual-LED flash and a 5-megapixel camera at front with soft-light flash support and camera beauty filter as well. The Nubia N1 lite features 16GB of inbuilt storage with the option to expand further via a microSD slot (up to 32GB). Connectivity options include 4G VoLTE, GPS, Bluetooth, Wi-Fi, and Micro USB port. The smartphone packs a 3000mAh battery that is rated to deliver up to 24 hours of talk time. The dimensions are at 153x77.5x8.4mm and the smartphone weighs 171 grams. Sensors on board include an accelerometer, ambient light sensor, digital compass, and proximity sensor.